After being turned down at least four times by advocates he had cornered to replace Shaun Abrahams as national director of public prosecutions (NDPP), President Cyril Ramaphosa is now looking inside the National Prosecuting Authority (NPA) for a career prosecutor who can lift its spirits and those of the nation. Battered by numerous internal scandals and criticised for not acting fast enough on allegations of state capture, the NPA is desperately in need of a strong leader who will act without fear or favour. The NPA was singled out by Ramaphosa at the start of his tenure as president as one of the state institutions in serious need of a fix. He waited for the Constitutional Court to rule on Abrahams' position and after the court invalidated his appointment earlier this month, Ramaphosa is now in a position to make his move. But he has a problem: at least four advocates have turned down offers from him to take up the hot seat as NDPP. I was reliably told that Ramaphosa unsuccessfully cornered senior advocates Ishmael Semenya and Vincent Maleka after being turned down by former NDPP Vusi Pikoli for the job. The fourth person rumoured in legal circles to have been approached - unsuccessfully - by the president, is former prosecutor and DA MP Glynnis Breytenbach. Ramaphosa is fast running out of options. He needs to fix the NPA and is now looking at internal candidates to replace Abrahams. Three names are being mentioned in the NPA and by people close to the process as possible career prosecutors to take over the reigns. The "front runner" at this stage is Advocate Ivy Thenga, director of public prosecutions (DPP) in Limpopo. Thenga was appointed as DPP for Limpopo, her home province, in 2016 after years as DPP for the Northern Cape. She successfully appealed a contempt of court conviction in 2012 after she was convicted for not appearing before a magistrate. While attending a conference 420 kilometres away from that particular court, she was advised that a magistrate wanted her to appear in court to explain the absence of a prosecutor who fell ill on the date of the trial to be heard by that magistrate. She did not appear on that day and the magistrate issued a warrant for contempt of court. She subsequently appeared and was convicted for contempt of court, which she later successfully appealed. Thenga* was apparently asked to move to the NPA's head office in the past two weeks. The other two internal candidates who are apparently on Ramaphosa's radar are Western Cape DPP Rodney de Kock and Advocate Andrea Johnson, a deputy DPP in Pretoria who successfully prosecuted the late top cop Jackie Selebi of corruption and former athlete Oscar Pistorius of murder with former prosecutor Gerrie Nel. Both De Kock and Johnson are senior prosecutors with many years' experience in their respective provinces. The Constitutional Court gave Ramaphosa 90 days from 14 August to fill the position. The president appointed Advocate Silas Ramaite, a deputy NDPP, as acting head of the NPA while he makes up his mind. If insiders are correct, Ramaphosa could soon announce Advocate Ivy Thenga as the fifth NDPP of democratic South Africa. * Thenga denies that she has moved to the NPA head office in Pretoria or was asked to move. 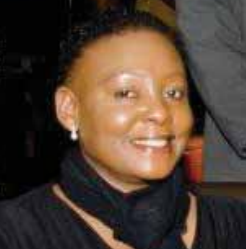 Two inside sources in the NPA told News24 she was asked to relocate.